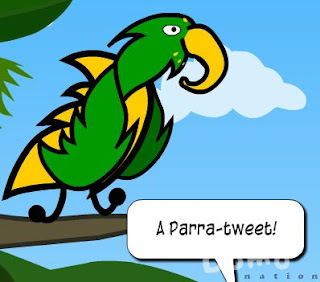 As you can see I once again used limited frame animation to make the Parra Tweet fly. I get a lot of questions asking me how to do this but it really is just a question of adding really short, 0.2 of a second, scenes in the Domo Studio, then moving the bits of the Para Tweet I want to move just a little at a time. Just like old style animation really.